This is another important topic in DBMS. You may look following scenario. Think you are going to save some data of employees when they join to a company. You need to save his name and email address only. Then this will be very simple. You can create a database and then you can create a table in this database adding columns for employee name and email with an id. Then you can insert data to that table. Think you need to update a separate table to save employee joining date with his id at the same time. This is normally done for auditing purposes. So then what you can do ? At the time Triggers are the best option to do this task. Lets see how to do it. Here you can see the declaration of a single trigger. This is very easy to understand. CREATE TRIGGER, ON, FOR EACH ROW, INSERT, DELETE and UPDATE words are keywords in MySQL. Then you can choose any name for trigger_name. You can't use keywords and it would be better if you can use understandable name for trigger_name. Look at the following example for trigger in above matter. I've created a trigger called user_count. This trigger is called after you insert data into employee table. Then you can insert data and check how trigger perform and then you can view data to see updates on tables. What is the Delimiter ? This is used to define the boundary between two lines. In programming normally we use semicolon(;) to separate lines. You can use a character or a String as the delimiter. Normally in coding we put ; at the end of the line, it means you end the code. But if you use any other delimiter instead of using ; then you have to use that one at the end to end the line. This is also same as single triggers. Only difference is, you can have multiple statements in multiple triggers. We have to use delimiters in multiple triggers, because we are using multiple statements in multiple triggers. Look at the following declaration. Next lines are same as single triggers, only difference is we are using several statements inside of BEGIN and END block. You will be able to understand why I changed the delimiter. You can see I've to use semicolon to separate statements (statement_1 ,statement_2 ,statement_3). If you didn't change the delimiter then once it read the statement_1 it will terminate the process without reading statement_2 and statement_3. Because of this, we need to change the delimiter. This provides the alternative way to check integrity of the data. 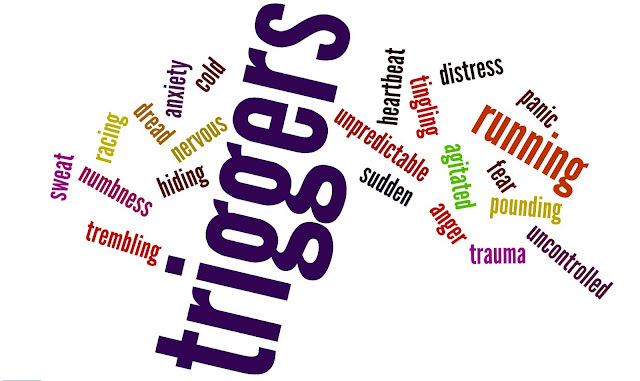 Triggers are very helpful when auditing and to identify the changes on data. Triggers may decrease the performance of the database server. Application developers and database developers are separate. This is very important interview question. Lets get one by one. 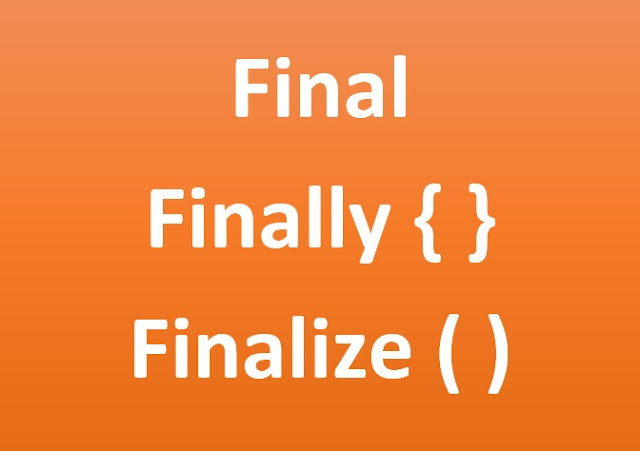 Final is a non access modifier that can be used with a variables, methods and also classes. Final variables cannot be changed, because they are constants. Look at the following code, it won't compile. Final classes cannot be extended. This is always associated with try-catch block. It is normally used to handle any clean up codes like closing a file, closing a database to prevent resource leak. This finally block runs every time either exception happen or not. This is called by the Garbage collector just before destroying any object. If it determines any object without a reference, it calls this method anytime. This is used to perform clean up activities related to any object without reference. This cleanup activities means, if the object is associated with any database connection, finalize() method is used to disconnect that connection.